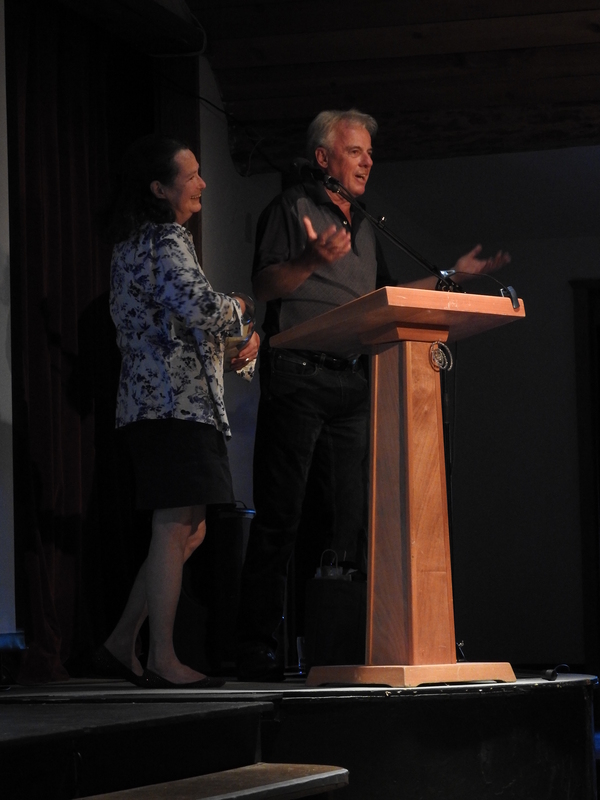 On Saturday June 4th, Hornby residents and visitors packed the Community Hall for a colourful talk on space with science speaker extraordinaire Bob McDonald of CBC’s Quirks and Quarks. 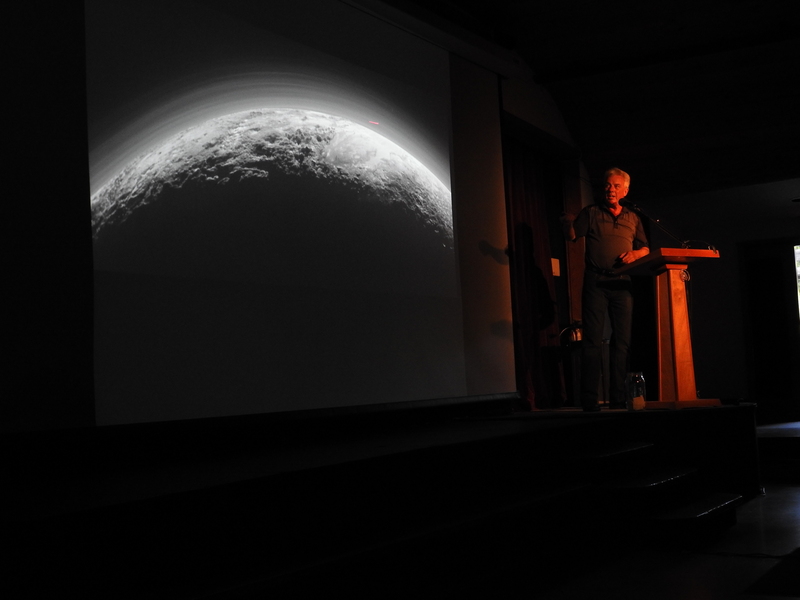 In this fundraising event for the Natural History Centre, Bob presented on Canadian Spacewalkers, the topic of his latest book, to an enthusiastic crowd that gave him a warm welcome. We learned that Bob’s interest in space all began as a child upon receiving a book on the planets, a gift from his mom. The images were drawn because science had yet to obtain detailed photos of planets from space. The only way to see detail beyond the obvious large features was through the imagination of the artist using the latest scientific knowledge. Spacewalking is so difficult that only three Canadians have ever stepped out of their spacecraft into the abyss of space: Chris Hadfield, Steve MacLean, and Dave William. These spacewalkers went through rigorous mental and physical training and wear special pressure suits. 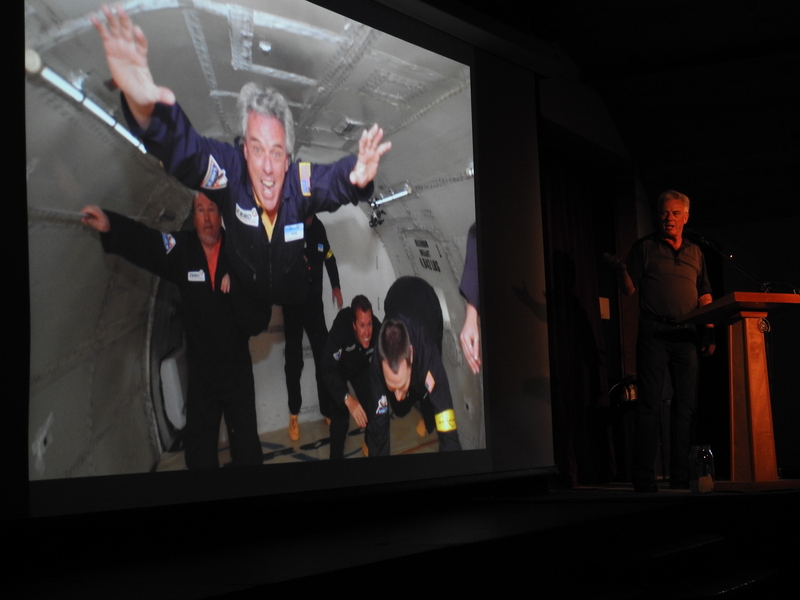 During the presentation, we saw footage of Bob participating in the zero gravity exercises that astronauts practice. These exercises take place in a designated fly zone with a special plane that zooms almost straight up, then straight down again, over and over. The effect simulates different degrees of weightlessness. Bob, of course, loved it. 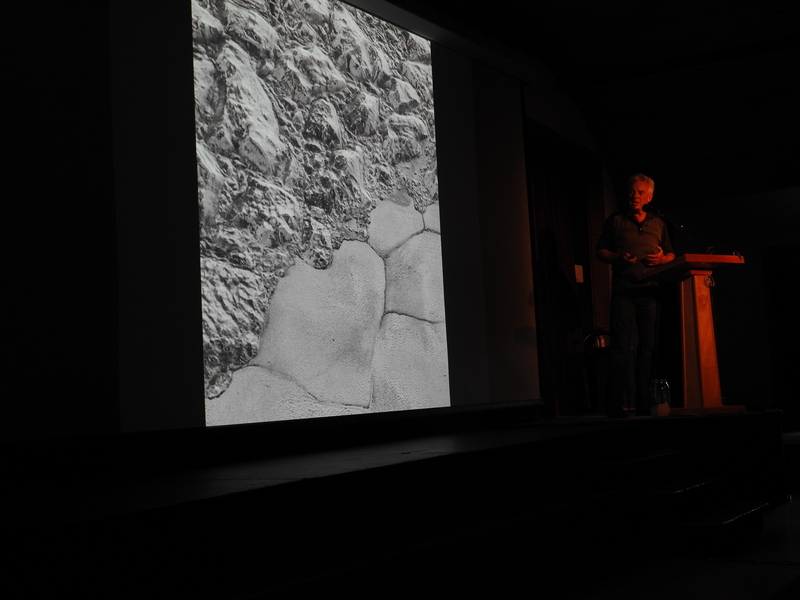 There were beautiful new images of the icy Pluto, and captivating images taken by spacewalkers of our planet Earth. His passion for space was contagious. He gave the analogy that our sun is equivalent to just one grain of sand among many, with all other grains being other suns…not only all the sand on the beaches of Hornby, but all the sand in the world! Before and after the talk, attendees of all ages lined up for Bob’s autograph. He brought thirty copies of his book on his motorcycle and they all sold out. 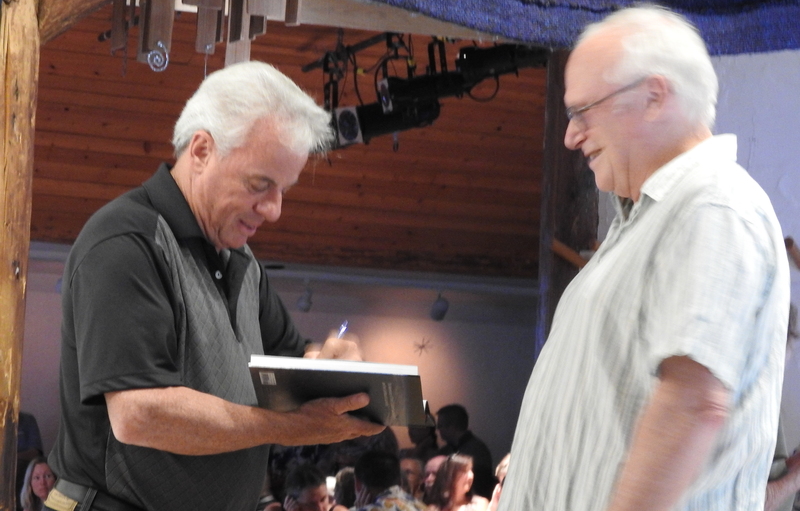 Before the show, Bob toured our Centre, which the event was a fundraiser for. He commented that he was impressed with all the different geological, forest, and shoreline displays that are packed into our exhibit space. 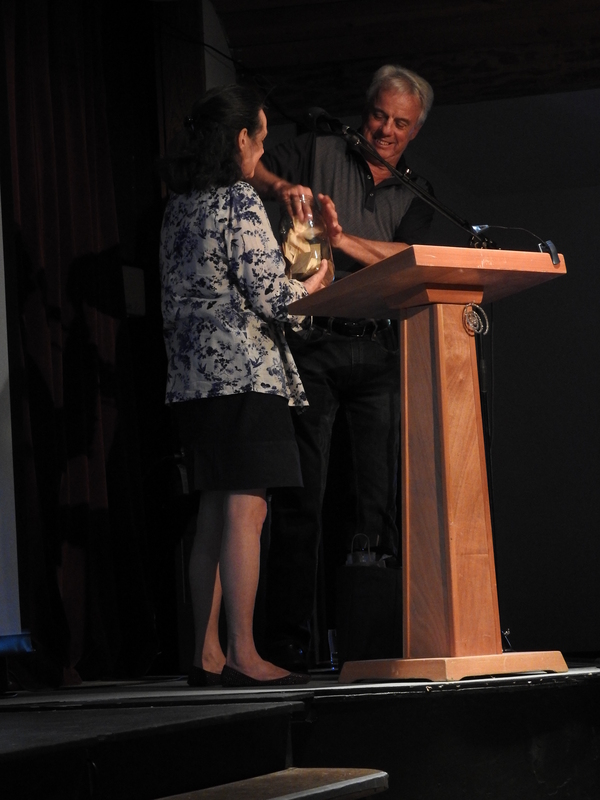 He was happy to support the Hornby Island Natural History Centre in this fundraiser which raised a total of $2,585.00! Bob’s message of nature education was clear: kids must be encouraged and provided with opportunities to get outside and play in the dirt. After the talk, Bob drew the winning ticket for our membership prize, a boat tour around Hornby Island donated by Rob and Amanda Zielinksi of Hornby Island Diving. The lucky winner was Vicki Bale – Congratulations, Vicki! Bob was then presented with a gift basket from the Natural History Centre filled with goodies compliments of Hornby artists, crafters, and brewers. Bob once worked on science experiments with Casey and Finnegan, the two iconic puppets created and played by Hornby Island resident Judith Lawrence on the children’s show Mr. Dressup. He said that although he has sailed around the island twice, this was his first time stepping foot onto Hornby. 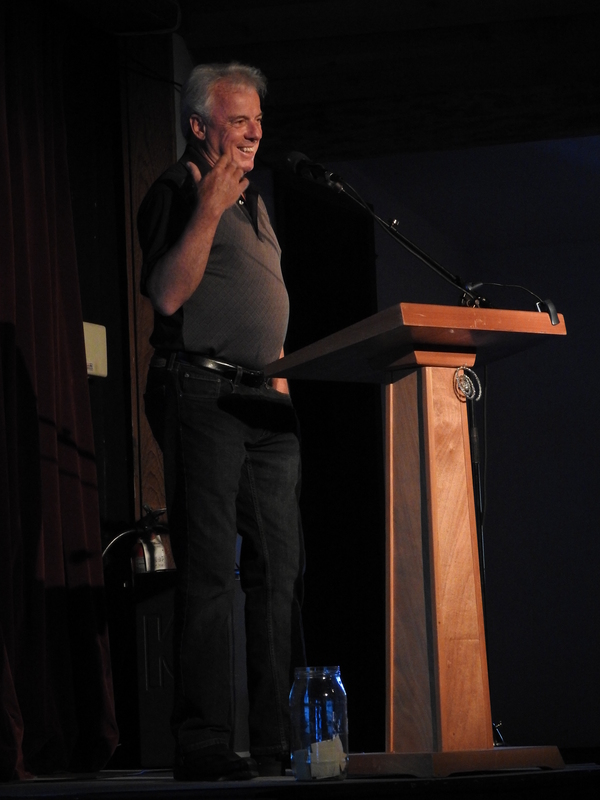 Bob has been the host of CBC’s popular science show Quirks and Quarks since 1992, a program that was started by David Suzuki.